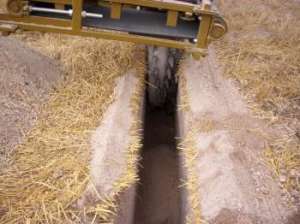 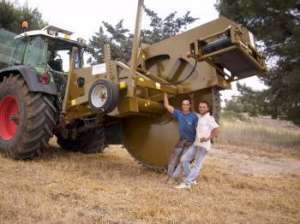 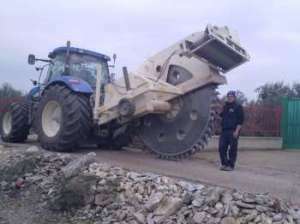 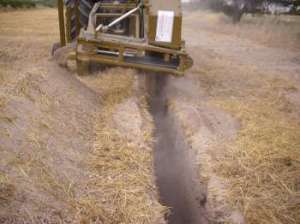 The Disk Trencher is an implement able to dig canals in the ground in rocky lands. 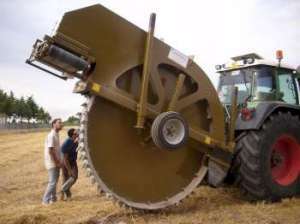 The disk is made up of replaceable tools and it is linked to the three points of the tractor and driven by the P.T.O) shaft. 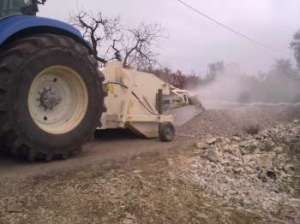 It is mainly used for putting down irrigation pipes, cables, drainage and different plantations. 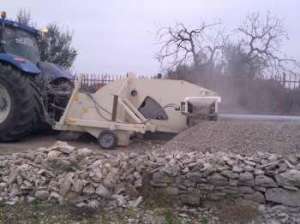 The forwarding speed on lands with mobile stones of 300 / 500 mt/h, while on rocky lands it must be of 50 / mt/h. 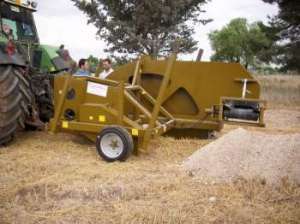 In this last caste the tractor has to be supplied of a hydrostatic system or vario gear.